The Doctor’s Companions. They’ve been through Dalek Invasions, Android Invasions, Zygon Invasions and Christmas Invasions. They ask questions, get in trouble, get out of trouble, and challenge the Doctor to think and act in new (usually better) ways. 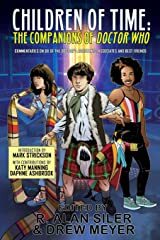 Children of Time: The Companions of Doctor Who features profiles of companions from all formats of Doctor Who: television, novels, comics and audio dramas. 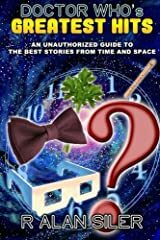 Our contributors include well-known authors, four librarians, two ukulelists, a playwright, podcasters, publishers, students, and the writers and artists behind some of the Doctor’s companions. Where it all started! 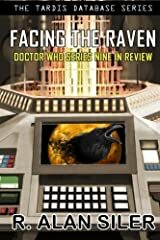 Presented in a countdown format is 50 of the best Doctor Who televised stories ever!